What To Do > Colorado > Vail Valley > Family Fun & Kids Activities > Beaver Creek Market & Deli - Homemade Fudge or Ice Cream & Deli Sandwiches! Homemade Fudge or Ice Cream & Deli Sandwiches! Start your day with a delicious breakfast sandwich and a hot Vail Coffee Roasters latte before heading off on mountain adventures. The full-service deli - complete with made-to-order sandwiches - can also provide a lunch to go. Why not picnic on top of the mountain? 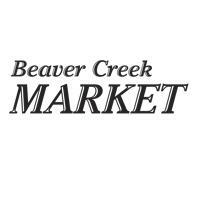 Beaver Creek Market and Deli also offers gifts, souvenirs, toys, apparel, health and beauty aids, cigarettes, groceries, gourmet foods, homemade ice cream, chocolates, and fudge.Open daily 8am-9pm. Located in the St. James complex, next to the Children's Fountain. Activity - Homemade Fudge or Ice Cream & Deli Sandwiches!